An open house Thursday evening attempted to address stadium traffic concerns of residents living near the University of Manitoba. 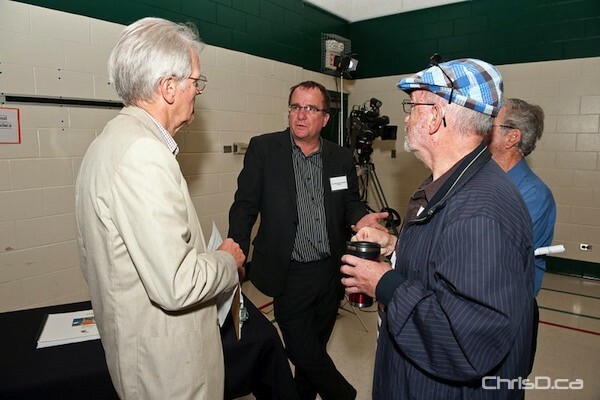 The first of two open houses put on by Creswin Properties was held, with representatives from the developer, the Winnipeg Police Service and Winnipeg Transit answering questions. Traffic engineers from Stantec and the City of Winnipeg were also on hand, but their explanation on how to best reduce traffic congestion fell on deaf ears. Most residents who attended raised concerns with the amount of available parking on the U of M campus, fearing overflow from football games will have vehicles lined up on their streets. One suggestion provided by organizers was to get people out of their cars and on to bikes when attending games. Realistically, this won’t happen, at least according to those living in University Heights and Fort Richmond. Residents also feel unless the original stadium design that was proposed with the partial roof goes ahead as planned, noise levels in the residential area will go up. The second open house is scheduled for Thursday, October 7 in the basement of Fort Garry Evangelical Mennonite Church, 602 Pasadena Avenue, from 5:30 p.m. to 8 p.m.